Mariah Carder of Kingsville District High School will start her college career with a three-credit advantage and a background in the business of chemistry as a graduate of BASF’s eighth annual Science Academy. 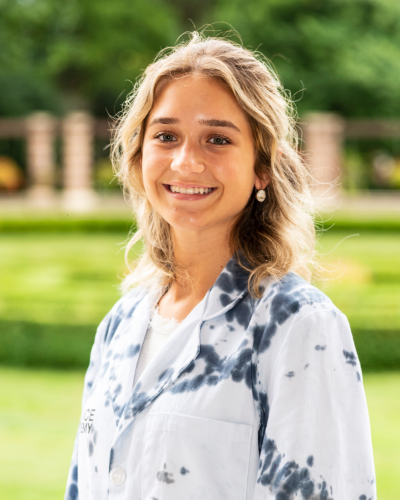 Carder was among 20 high school seniors from around the United States, Canada and Mexico who earned the opportunity to participate in the program designed to prepare students for a career in Science, Technology, Engineering or Math (STEM). The two-week summer science program, developed by BASF Corporation and held at Fairleigh Dickinson University (FDU) in Madison, New Jersey, provides students the opportunity to increase their knowledge of chemistry and learn marketable business skills. Working in teams, students use BASF chemistry to formulate their own personal care products – hair gel, shampoo and lotion – and develop a marketing plan. At the end of the program, the student teams presented their product to a panel of BASF executives and FDU academic leaders. Following the curriculum theme, “From Molecules to Marketplace,” students gained hands-on experience in college chemistry labs, while developing a marketing strategy to link their product to the consumer. Students experienced chemistry in action by visiting the BASF Research and Development labs in Iselin, New Jersey, and Tarrytown, New York. They also spoke to cosmetic chemists and subject matter experts to learn about careers in chemistry. “Aside from the academics, the best part of BASF’s Science Academy is having the opportunity to travel to new places and have fun with new people,” Carder said. Students graduate from the program with three transferable college science credits to encourage their pursuit in a STEM field. In addition, FDU offers Science Academy alumni $5,000 scholarships if they elect to attend FDU in the fall of 2019. Two Science Academy alumni have returned to BASF through the summer hire internship program and the Professional Development Program (PDP). Last year, Science Academy class of 2011 alumnus Kevin Chao joined BASF as a full-time PDP employee in Beaumont, Texas, and is currently working at the BASF facility in Chattanooga, Tennessee. This fall, 2013 Science Academy graduate Michelle West will join BASF as a PDP. Other successful alumni are attending universities and pursuing degrees in math, chemistry, engineering, biology, medicine, psychology, education and business. Devoted to the preparation of world citizens through global education, Fairleigh Dickinson is New Jersey’s largest private university and features more than 100 liberal arts and professional degree programs, two international campuses, dozens of partnerships with internationally renowned institutions and special programs and status within the United Nations. For more information, go to www.fdu.edu.